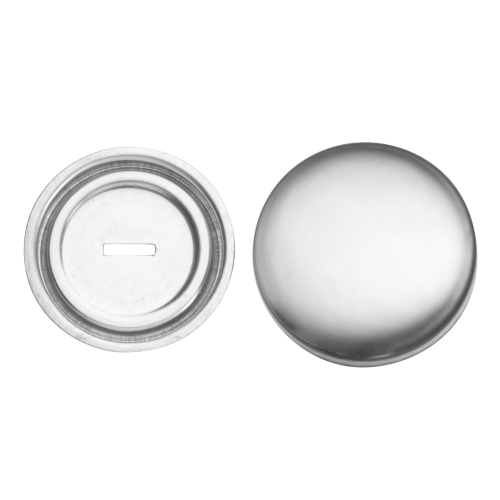 29mm metal button blank silver coloured, two part (as pictured). Cover with fabric, and then snap-on the back plate, no tools or sewing required. Makes a lovely looking button even with thicker fabric like aida, which holds well on the teeth attached to one half of the button. You will be sent one button.